It's been a while since we talked about the Palm Desert real estate market. 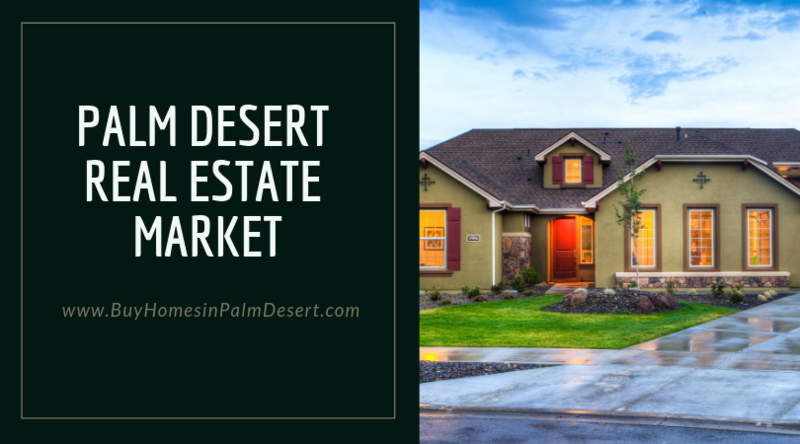 As of the publishing of this post, February 21, 2019, the Palm Desert real estate market is a seller's market. This is a hot market for sellers and homes are increasing rapidly. The average home prices between three $225,000 and $350,000. Is approximately $200 per square foot. The median rent is currently $2800 per month. We did see a drop in November and December but January and February has definitely increased dramatically. The rent has been steadily increasing since last August and the price per square foot has been increasing since September. At the Palm Desert, the real estate market has had a 5.8% increase over the last year and it is forecasted to have a 4.4% over the next year. The median list price is about $403,000 with the sale price of $341,000 as of December. Most listings have average days on the market of about 87, which is higher than we'd like, but some of these higher-priced homes can sit on the market for a long time skewing that number. Only about 8% of homes have negative equity, which is lower than the national average. Less than 1% are delinquent on their mortgage, so this is good news for buyers and sellers. There's not a lot of under market value properties out there, so sellers have a good chance of selling at market value or even higher depending on the demand. Only about 21% of properties have seen a reduction in price over the last couple of months, which means that most are priced accordingly. Homes in certain school zones tend to fetch a higher price those would be the school zones of the James Earl Carter Elementary school, the Gerald Ford elementary school, the George Washington charter school, and the Palm Desert high school. If you are a buyer, rest assured that you're not going to be paying an exorbitant amount of money for homes in the Palm Desert area. Homes are priced appropriately and you're likely to get a good deal if you have a great buyers agent that does the hunting for you. If you are a seller, now is a great time to consider setting up your home for an April or May sale.